It is well-known that corporate taxation rates vary considerably among countries in the world. However, they are generally lower in countries with higher statutory tax rates (STRs) and effective tax rates (ETRs) are less dispersed across countries than STRs. Experts from OECD have acknowledged existing variations in the definition of the corporate tax base across countries, which are having significant impacts on tax liabilities associated with possible rate of investment. An accurate assessment of the effects of corporate income tax systems (CIT) on investment thus needs to build on a consistent methodological framework covering not only statutory tax rates but also many provisions affecting the base such as fiscal depreciation. A new OECD paper prepared by T. Hanappi provides such a framework*). 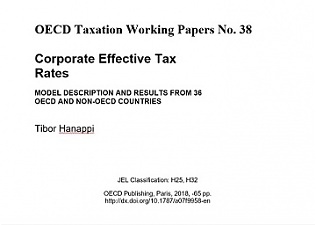 *) Hanappi, T. (2018), "Corporate Effective Tax Rates: Model Description and Results from 36 OECD and Non-OECD Countries", OECD Taxation Working Papers, No. 38, OECD Publishing, Paris, in https://doi.org/10.1787/a07f9958-en. The OECD model**) is built on the theoretical provisions developed by Devereux and Griffith (1999, 2003), which present forward-looking effective tax rates (ETRs) for 36 OECD and so-called “selected partner economies” taking into account a wide range of corporate tax provisions. The OECD paper consists of five sections and appendixes. In first two an overview is provided with the main concepts and earlier contributions to the methodology as well as more recent applications in policy analysis. Section 2 introduces a short description of other publicly available ETR databases, highlighting some of the differences to the OECD model. Section 3 contains a formal description of the model based on the standard approach developed by Devereux and Griffith (1999, 2003). Section 4 discusses country-specific corporate tax features that have been implemented in some countries but not necessarily in the all participating countries. Finally, Section 5 presents the ETRs for the full set of 36 countries based on tax rules as of July 2015 with some empirical results. 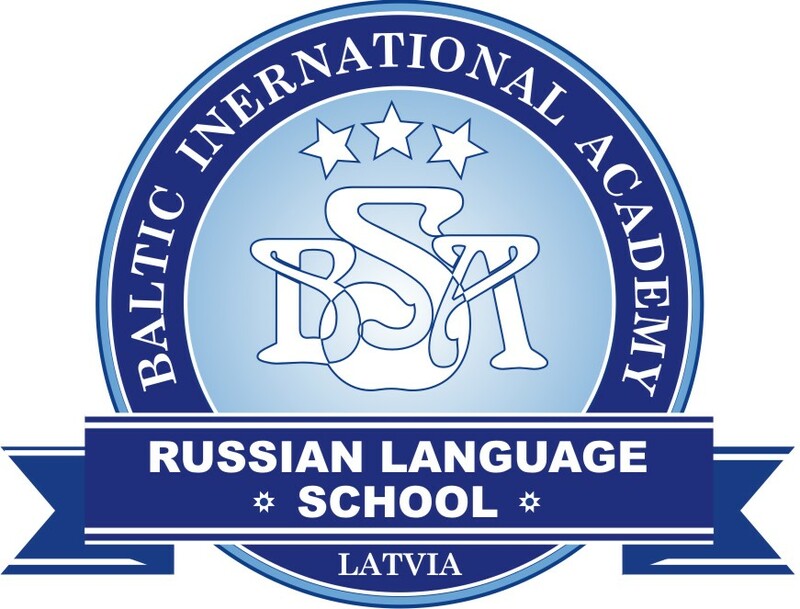 Out of three Baltic States only Estonia participated in the OECD analysis. The paper presents the new OECD model for the calculation of forward-looking effective tax rates and provides first empirical results based on an OECD survey, conducted in 2016, collecting comparable cross-country information on corporate tax provisions from 36 OECD and Selected Partner Economies. The empirical results discussed in this paper highlight that an accurate assessment of investment incentives across countries needs to build on a consistent methodological framework capable of covering not only corporate statutory tax rates but also many different rules that affect the tax base such as fiscal depreciation and other deductions or allowances. The OECD corporate effective tax rate model described in this paper is based on the theoretical model developed by Devereux and Griffith (1999, 2003) and currently covers 10 asset categories and 36 different corporate tax systems in the world. Empirical results (formulated at 19 pages; the rest 45 pages are “model files”) are based on two different macroeconomic scenarios, showing that effective average and marginal tax rates vary widely across asset categories, countries and sources of finance. In addition to the cross-country comparative analysis presented below, the OECD model also enables researchers to conduct further cross-country and within-country analyses of the incentive effects of corporate and personal income taxation. - Effective marginal tax rates (EMTRs) measure the extent to which taxation increases the pre-tax rate of return required by investors to break even. This indicator is used to analyse investment decisions at the intensive margin, i.e. to assess how taxes affect the incentive to expand investment given a fixed location. The EMTR is the tax component of the user’s cost of capital. The appendix in the paper describes in detail how the OECD model can be used for policy analysis. It includes several examples and illustrates how country-specific policy evaluations can be conducted. The results highlight the fact that the definition of the tax base, that is, fiscal depreciation rules and other corporate tax provisions, is crucial for comparative analyses of effective taxation. That means that reaching a correct assessment of the investment incentives of corporate tax systems across countries it is necessary to account for tax bases and rates within a consistent framework. The ETRs derived through the new OECD model provide such a framework, incorporating a wide range of generic and country-specific tax provisions. The OECD model, therefore, enables researchers to conduct cross-country and within-country, as well as cross-asset analyses aimed at many relevant policy questions, such as for example, the evaluation of how the tax system provides incentives to invest in one type of asset versus another (p.23). 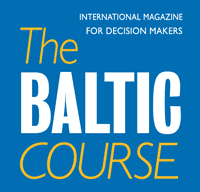 It has to be said that the OECD paper will be read with interest by all those who are interested in taxation issues, in particular by the tax authorities in the Baltic States, which are involved in the attracting foreign investment’s policies.